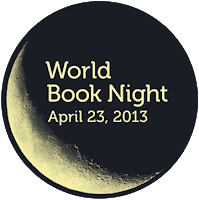 I gave away World Book Night (WBN) books at Pontypridd Library yesterday and it was a memorable experience! People welcomed the opportunity to read with a smile!! To give credit where credit is due, I think this is mostly due to the tireless efforts of our librarians! They told people about it and welcomed the opportunity to celebrate WBN! So a huge thank you to our librarians and to everybody who participated in the WBN celebration!! What made it sad is me (I think). I haven't read my chosen book when I picked the title among the 20 WBN 2013 titles to choose from way back when (a month or so ago) I had to choose a book to give. And part of the "Giver agreement" was to read the book before the event. Which I did. So what happens if the Giver turns out that he/she didn't like the book? And that is exactly what happened to me!! 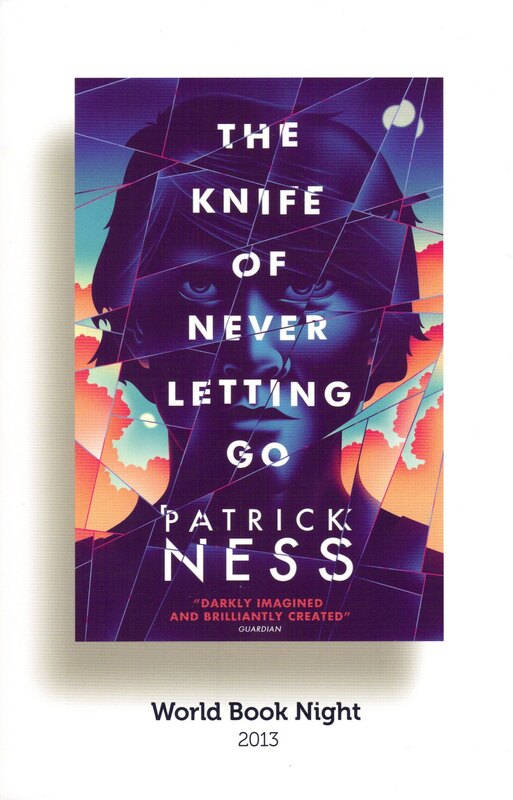 So how can I give The Knife Of Never Letting Go to anybody?? And that was the main obstacle to this year's event. In the end I still have to give the books away, but there wasn't any of my enthusiasm of the last couple of years. I just try to keep in mind that not all people are the same. That even though the book is not for me, some might actually like it. Heck! Somebody at the WBN staff must have for this book to get picked! So I gave the book only to those who looked like they actually want to have it (except one) and wished them luck! Consequently I still have a few books left which I intend to donate to a hospital charity I know and can be picked by those who only actually wants the book enough to be willing to donate to the charity to have it. 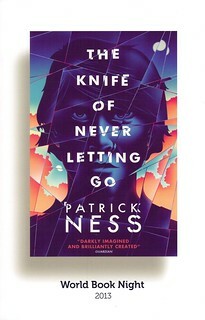 (That except one is a library employee so I feel less guilty about dumping The Knife Of Never Letting Go on him because if he didn't like it then he could just pass it on to someone else who wants to read a book in a library...) This is also the book which is making me decide not to become a Giver next year. It has somehow leached my enthusiasm away. And that was how my World Book Night 2013 went. Did you celebrate WBN? If so, how was it? Yes! Your inner voice is right. Book love is in the eye of the beholder/reader. Sometimes something I love, others hate and vice versa. Sounds like a fun event. I'll have to think about doing it next year. It is always nice to give books away. And tastes do vary. Too bad that the book spoiled your enthusiasm.